I went to see ‘Cézanne et Paris’ an exhibition at the Musée du Luxembourg (running until 26th February 2012) when I was in Paris last week. Cézanne urged by his old school friend Émile Zola to come to Paris, to further his artistic career, arrived in the capital aged twenty-one in 1861. From then on Cézanne travelled back and forth between Paris and his native Province, he did however return permanently to the landscapes of his childhood for the last fifteen years of his life. The exhibition is of Cézanne’s Parisian works and includes a picture of Zola; sadly the two friends fell out possibly because of Zola’s portrayal of an artist, loosely based on Cézanne, in his novel The Masterpiece. When I arrived home from Paris I flicked through a book I bought years ago called ‘Cézanne and the Provençal Table’. 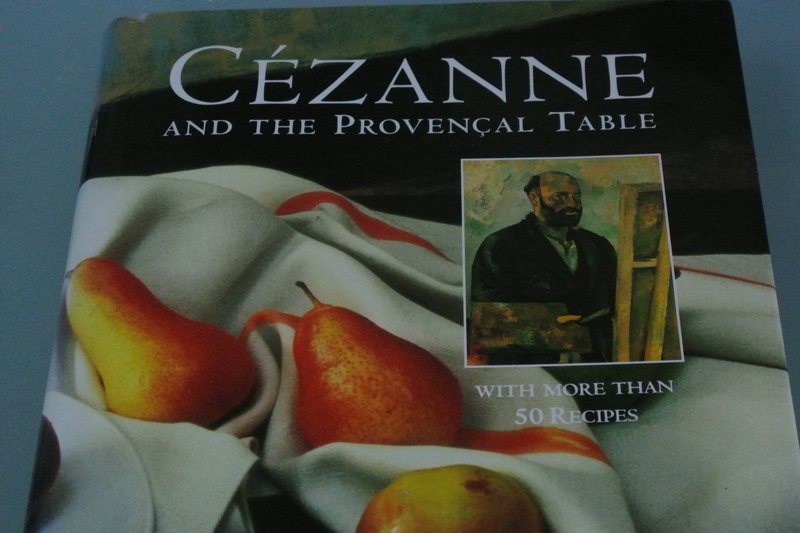 The first half of the book tells the story of Cézanne’s life and the second is full of interesting Provençal recipes. 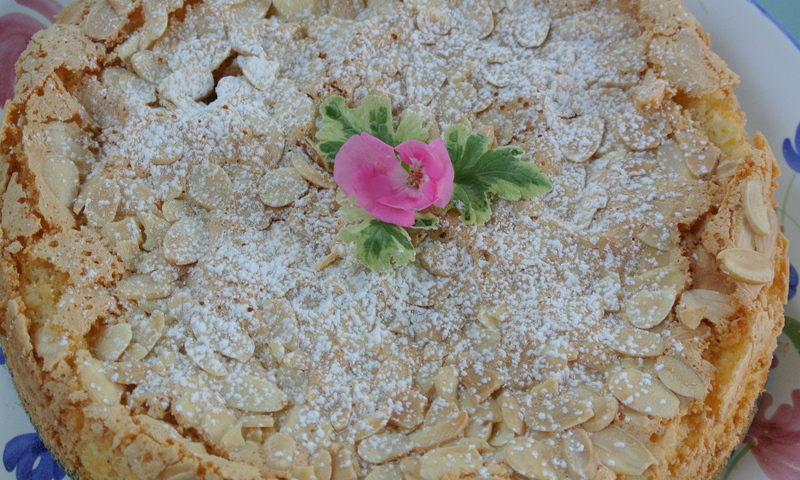 I decided to bake the Aix almond cake from the book for the weekend. Here’s the recipe. Preheat the oven to 200°C. Grease a 10inch/25 cm loose-bottomed cake tin (I used a springform tin) with butter or vegetable oil. Separate four of the eggs and whisk the remaining two in a separate owl. Put the ground almonds, caster sugar and the grated lemon rind into a large bowl and mix to combine. Gradually incorporate the two-whisked eggs and the four egg yolks and beat until the mixture is smooth. Blend in the cornflour and the vanilla essence. In a different bowl whisk the egg whites until firm. Add one spoonful of the whisked egg whites to the mix in the other bowl and beat in; then fold in gently one spoon at a time the rest of the egg whites. Put the mixture into the prepared tin and bake in the oven for thirty minutes (if the top is browning too quickly reduce the heat to 170ºC after twenty minutes and cover the cake with some tin foil). Turn off the oven but leave the cake in the oven and the door ajar for about eight minutes. Remove the cake from tin and leave it to cool on a wire rack. Note: the recipe called for cornstarch which I couldn’t find so I used cornflour as a substitute and it worked well. 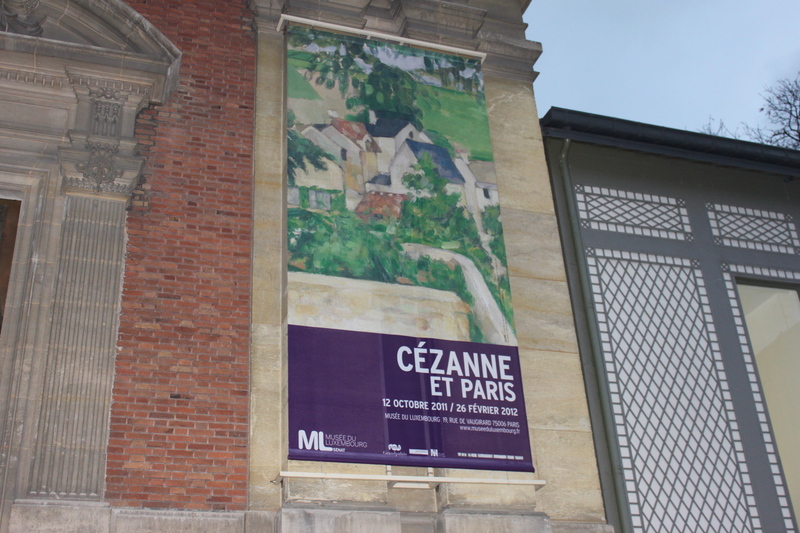 What a lovely dive into Cezanne, being able to see the exhibition *in* Paris. And the cake looks absolutely exquisite. I will definitely try this recipe! It was lovely to see some of Cezanne’s paintings, many of which had arrived for the exhibition from museums in far flung corners of the globe. The almond cake is good, I have already eaten three slices! And eat a slice or two…. Thanks for your comment.